Happy Woman Pointing Sunscreen Lotion Funny Smiley On Her Back.. Stock Photo, Picture And Royalty Free Image. Image 42089515. 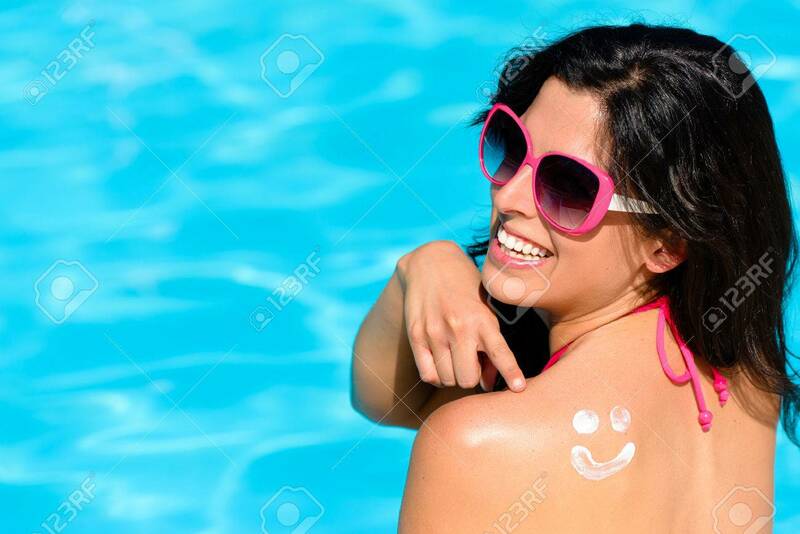 Stock Photo - Happy woman pointing sunscreen lotion funny smiley on her back and enjoying summer vacation at swimming pool. Beautiful brunette sunbathing. Skin care and sun protection concept. Happy woman pointing sunscreen lotion funny smiley on her back and enjoying summer vacation at swimming pool. Beautiful brunette sunbathing. Skin care and sun protection concept.